Guillaume Marois completed his PhD in demography at the National Institute for Scientific Research (Montreal) in 2014, and his Master’s degree in demography at the University of Montreal. He joined the JRC-IIASA Centre of Expertise on Population and Migration as a Research Scholar in 2016. His main research interests include demographic projections, microsimulation, spatial analysis, immigration and internal mobility. 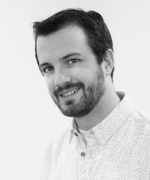 Before joining IIASA, Dr. Marois was a postdoctoral researcher at the Institute of urbanism of the University of Montreal. From 2008 to 2012, he worked as a research officer at the Quebec Statistical Institute. Since 2013, he also sits on the Quebec Superior Council of the French Language.